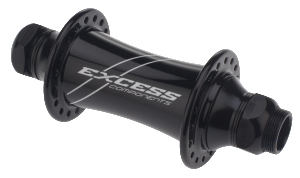 EXCESS offers a range of products that have been tested and ridden by pro riders. 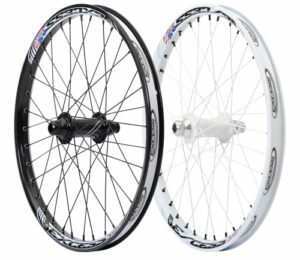 Items such as our wheels sets, give you the look of a custom, hand built one off set of wheels for BMX racing without the high price tag. A set of 20 x 1.75 Excess 351 Rims laced up on a set of sealed Excess Flip Flop hubs. 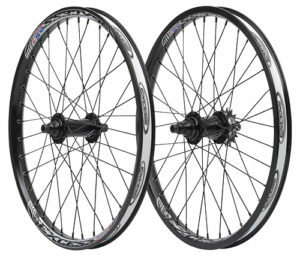 Ultra Light and ultra smooth, this is a must for freewheel fans! 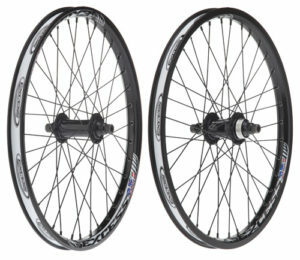 A front 351 Pro Wheel set up laced up on our 20mm front hub, letting you upgrade to a 20mm front end for your BMX racer. 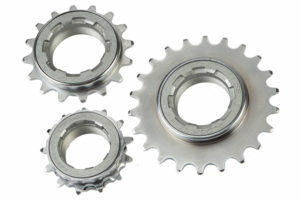 Our line of other products, from Hubsets, Cranksets, Spokes, Freewheels, and more give riders the option to use the products with confidence knowing that it has passed the true test of any BMX racing items, the rigorous demands of Pro riders. 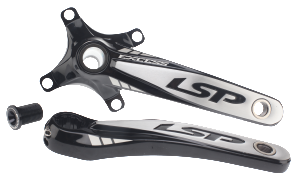 The LSP crankset is new Forged Alloy 6061/T6 2-pc Crank that delivers enhanced torque rigidity when pedaling. A fully sealed, ultra smooth, 20mm Excess Front hub for a simple and easy conversion of your current front wheel to step up to the 20mm front end set up. A fully sealed, ultra smooth, 10mm Excess ultra light hub sets features Rear Cassette Hub features 4 Pawls & 96 Points of Engagement. Offered in 4 sizes and 5 colors choice. 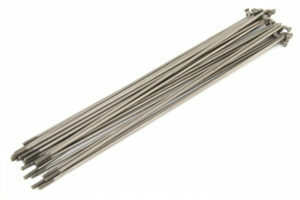 Half the weight of traditional spokes, the Excess Titanium spokes will help you remove the most important type of weight off of your race machine, rotational weight. 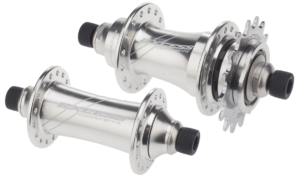 Lighter, faster engagement, and stronger are the 3 goals that we set out to do when making a Pro level freewheel and we were able to far exceed all of our goals with the Excess Pro Series Freewheel. 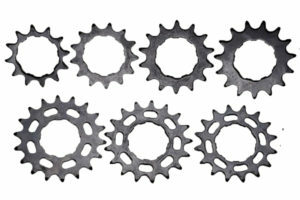 A full size range of rear steel cogs for your cassette hubs.